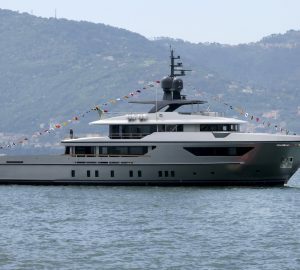 With a launch in 2015, superyacht MOKA is a luxurious and robust 42-metre '460Exp-115' explorer, built by the well known Italian manufacturer, Sanlorenzo. 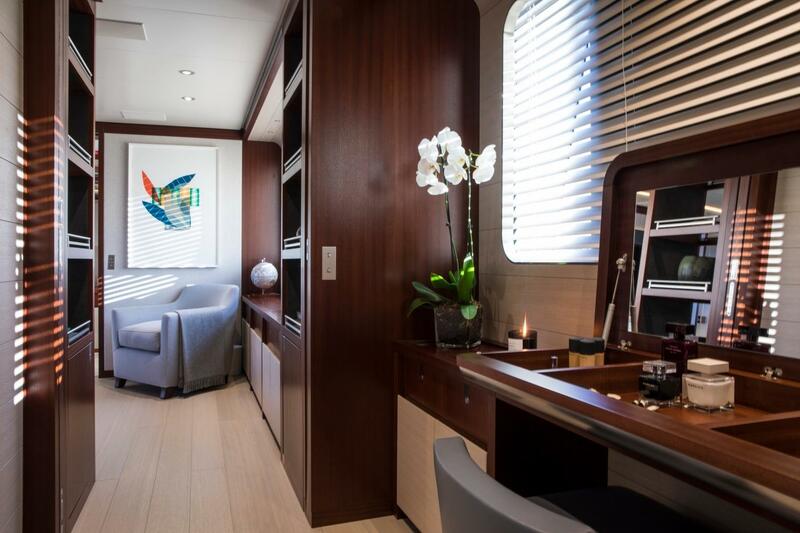 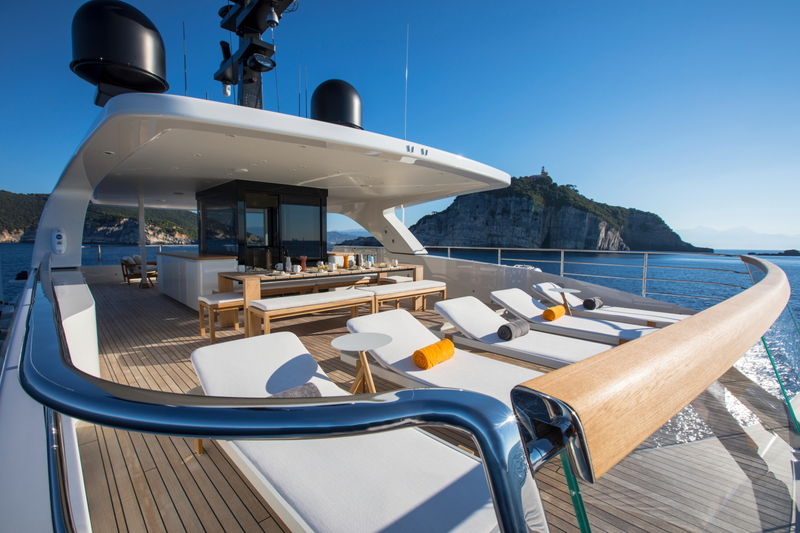 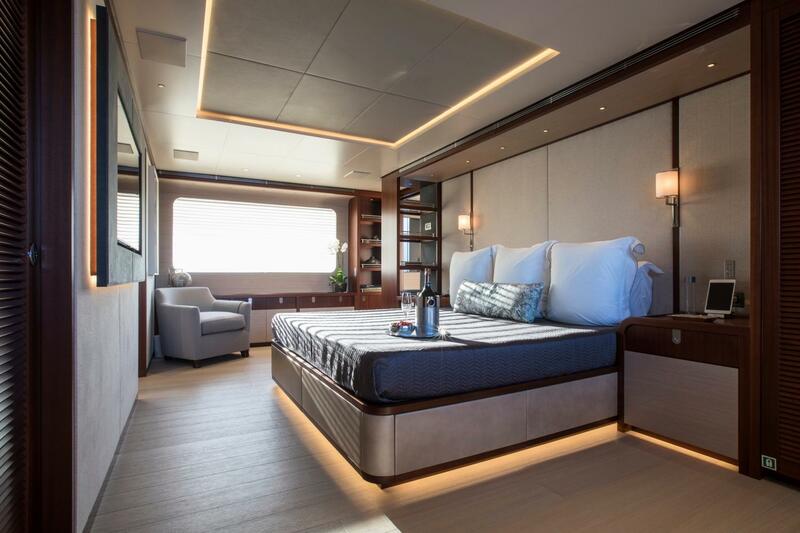 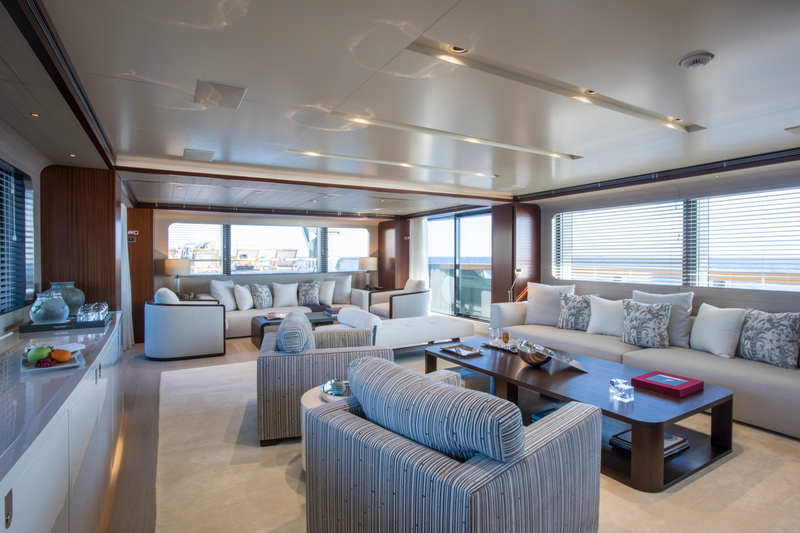 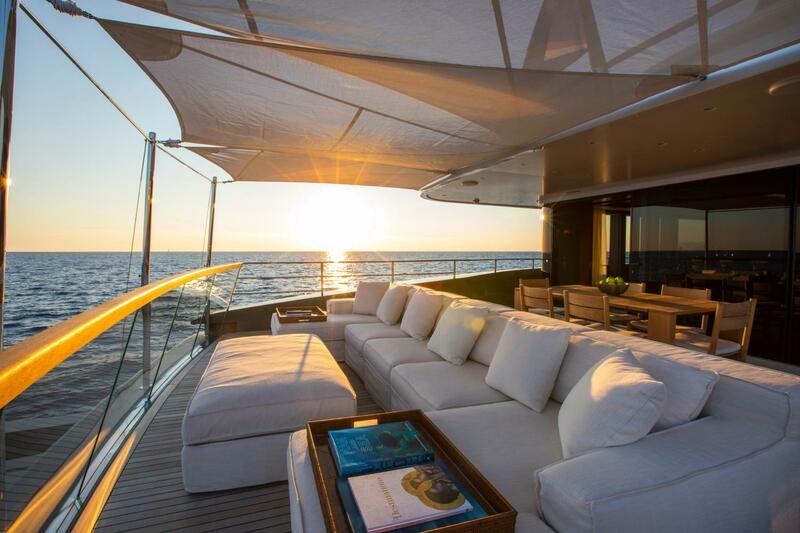 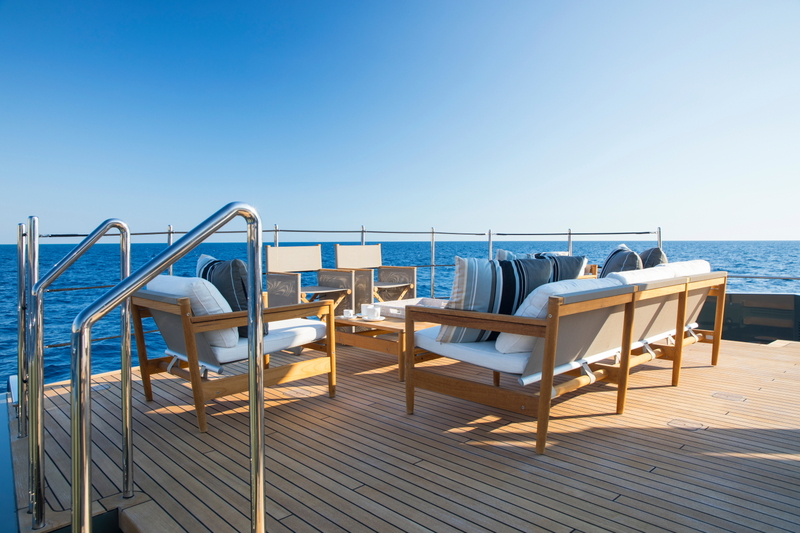 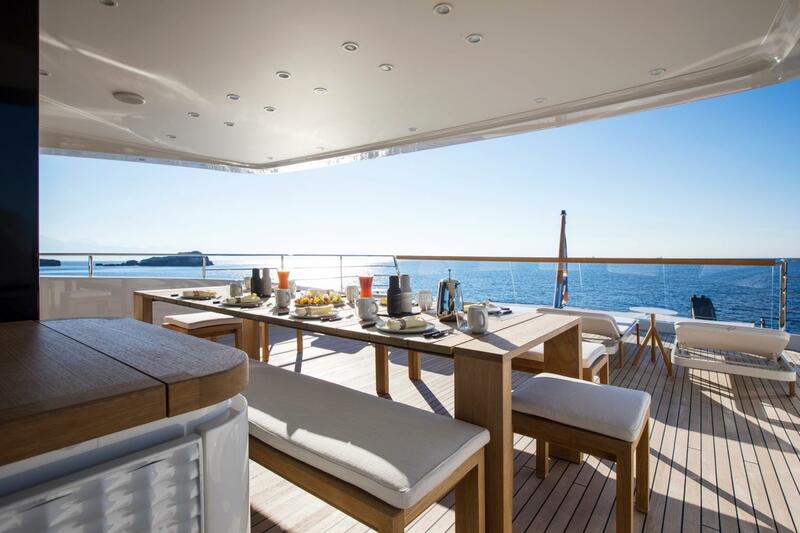 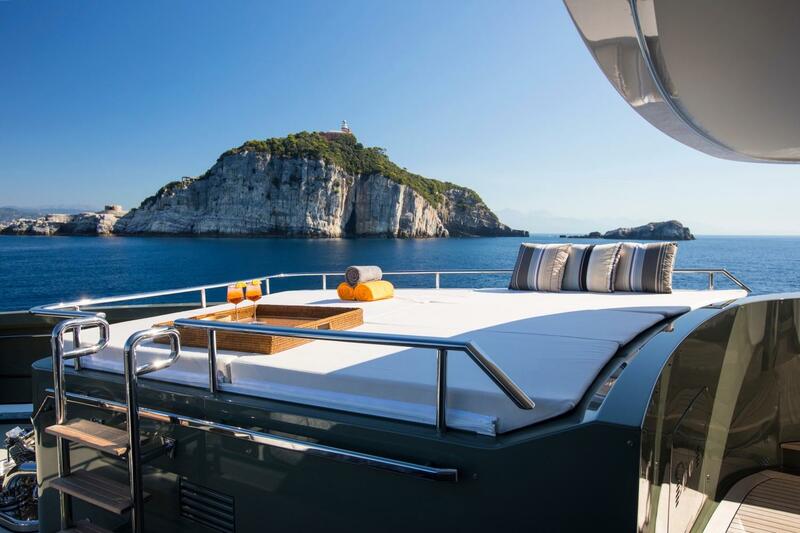 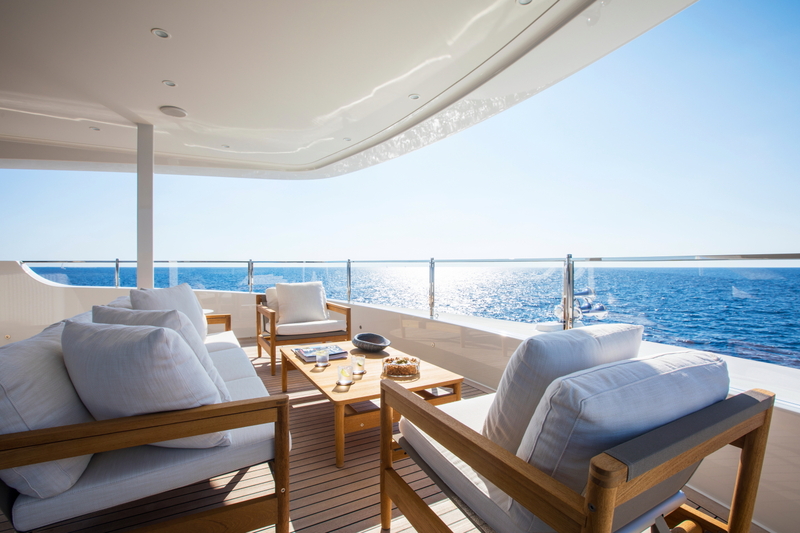 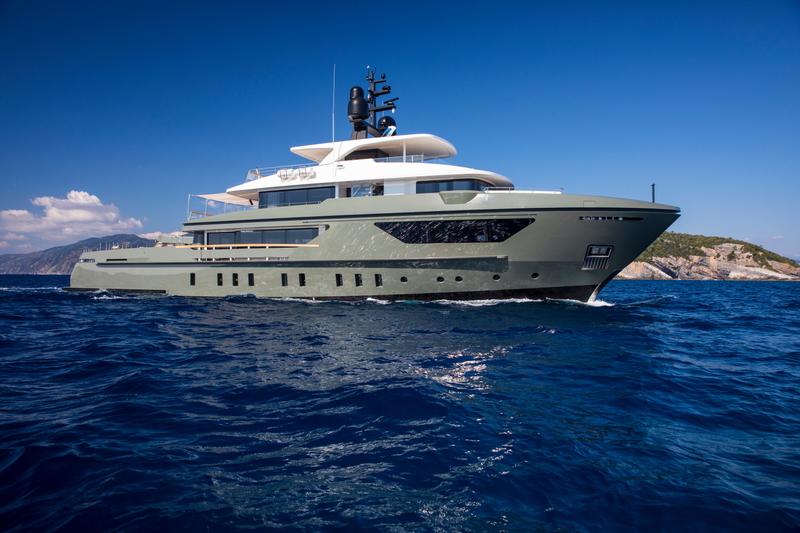 Designed by acclaimed Francesco Paszkowski, the fully equipped motor yacht MOKA provides all sorts of services and necessities, as well as the large internal spaces, needed to allow the guests to sail the sea for prolonged periods. 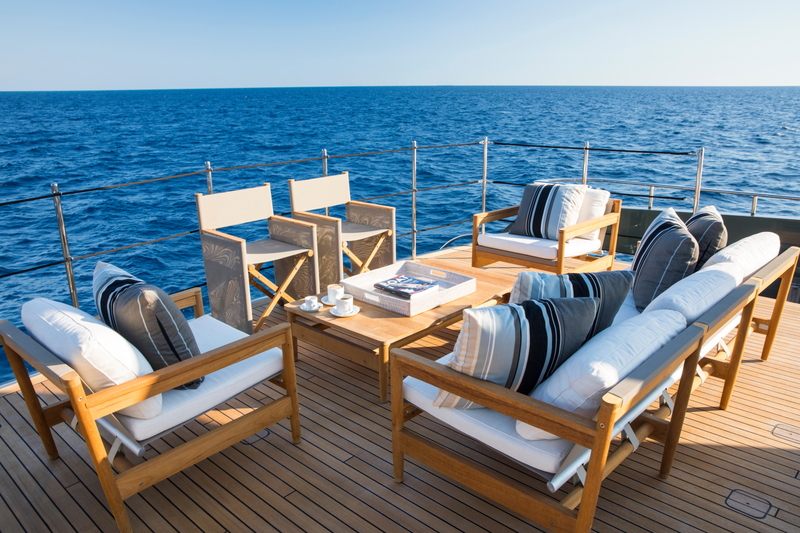 This exceptional charter yacht sleeps up to ten guests in five deluxe cabins and has a crew of nine highly-skilled members ensuring guests have a truly relaxing charter vacation with top service onboard. 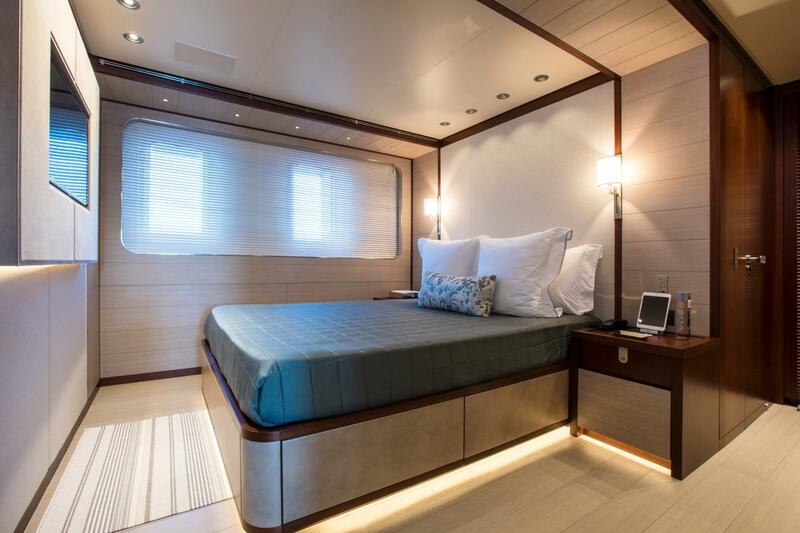 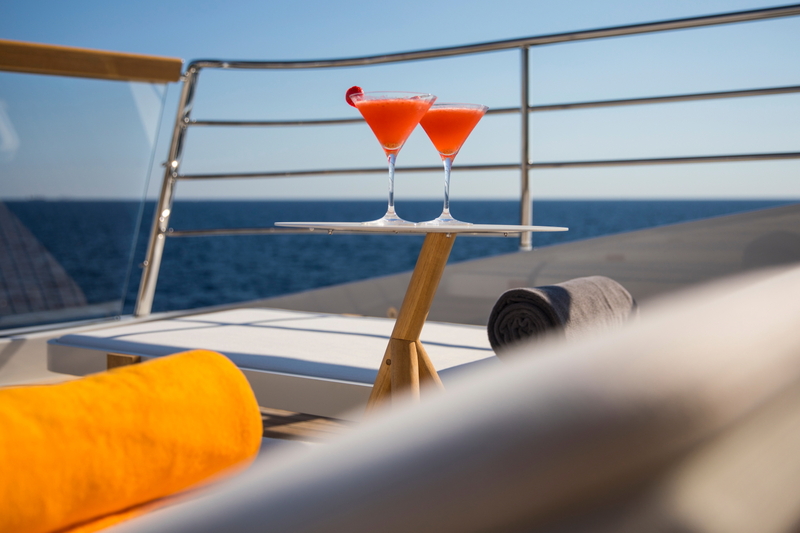 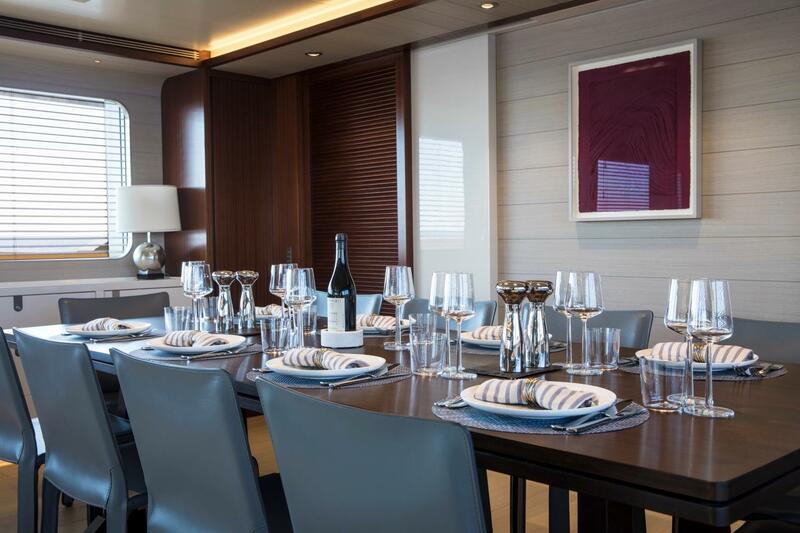 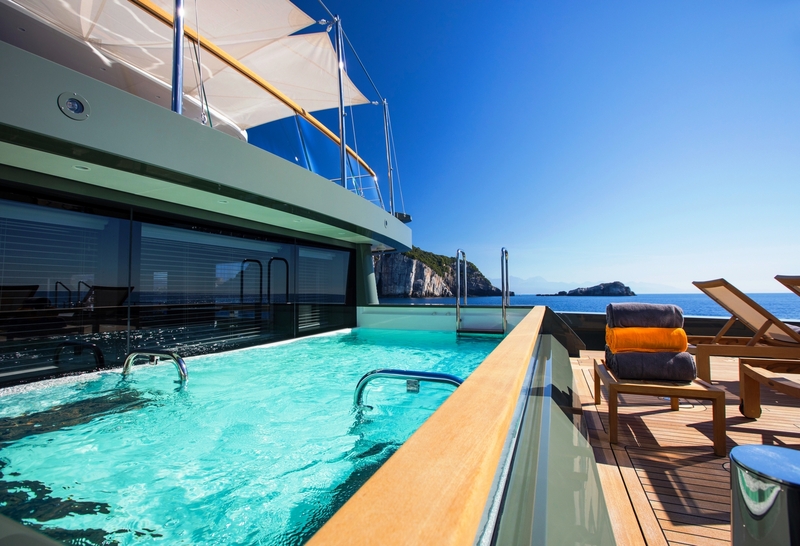 Characterized by spaciousness on board, safety, and self-sufficiency, Sanlorenzo expedition charter yacht MOKA provides deluxe accommodation in five spacious cabins for 10 guests. 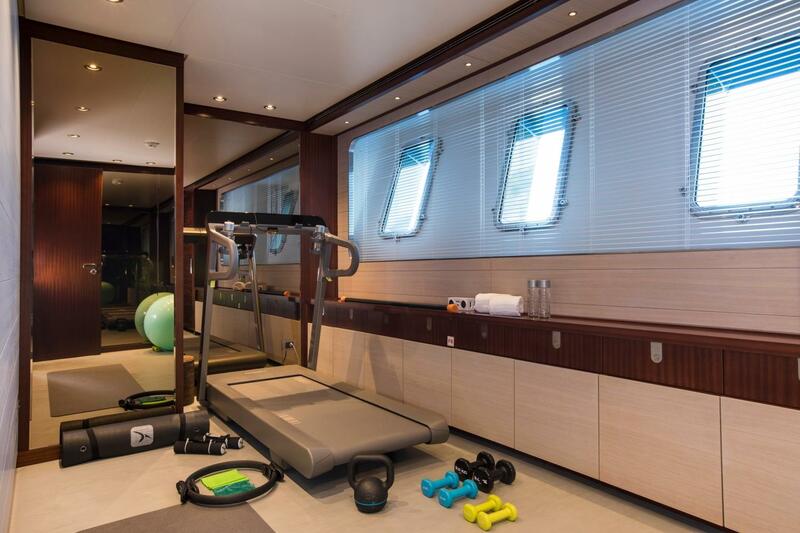 The lower deck features a wellness room with an endless swimming pool, gym and sauna with Turkish bath. 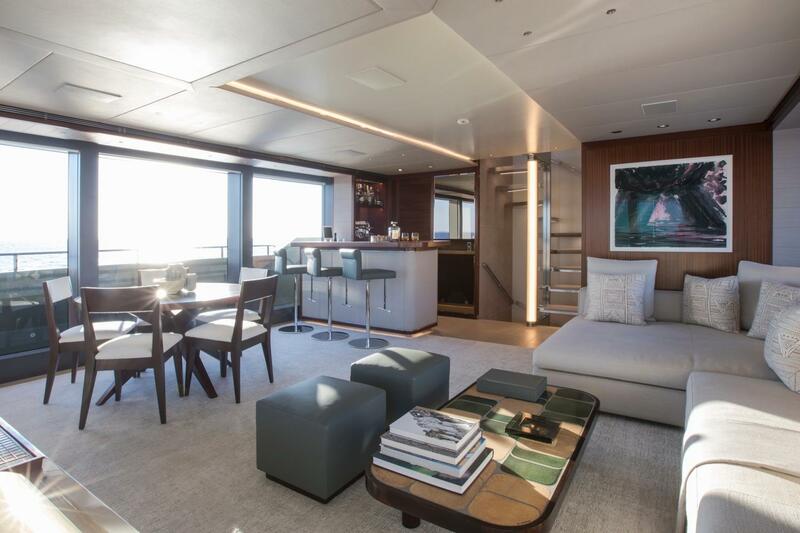 It also houses three crew cabins, with the captain’s cabin placed on the main deck, next to the wheelhouse, so as to be at hand to supervise long-range cruising. 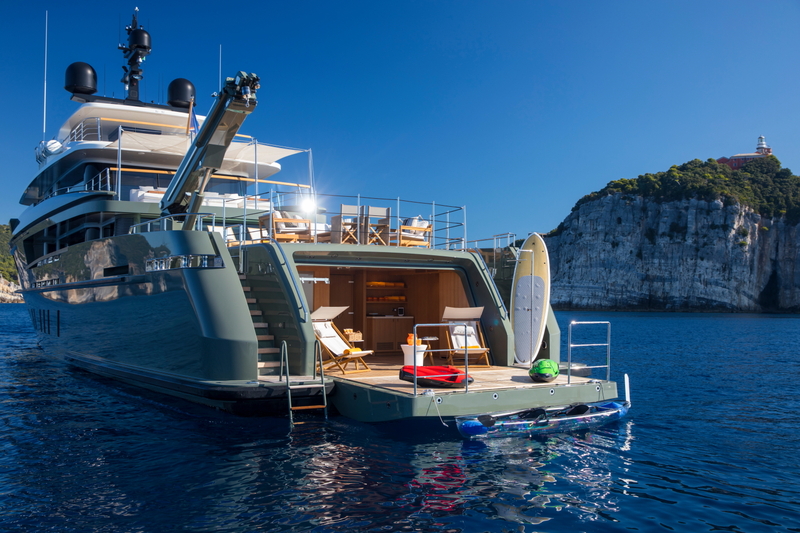 Luxury yacht MOKA can house an impressive number of supplementary boats in the large stern area on the lower deck, such as tenders, speed boats and fishing boats up to 9 meters, along with a wide variety of toys, like sailing boats, jet skies, sea bobs, surfs, windsurfs, etc. 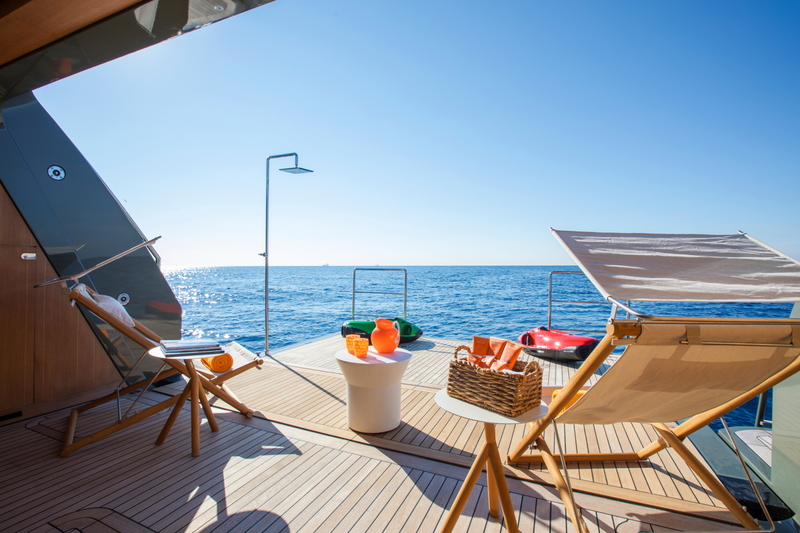 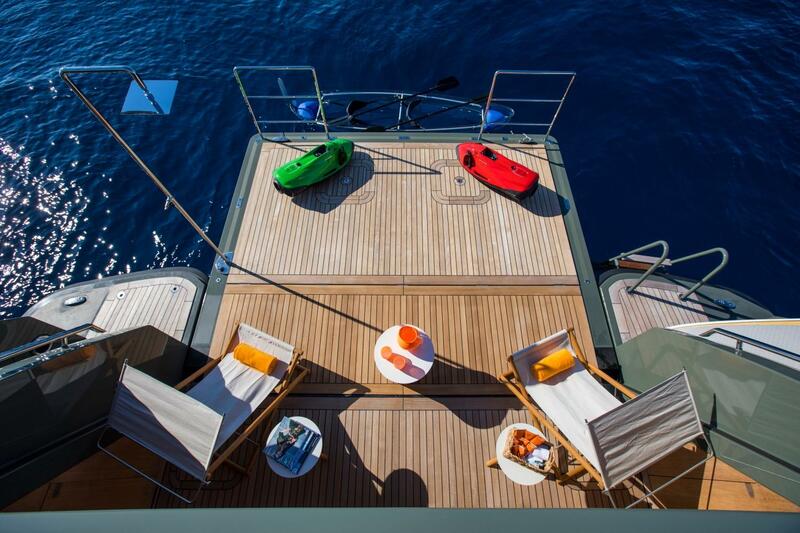 At anchor, the large teak deck at the stern, when free of toys, becomes a big recreational area. 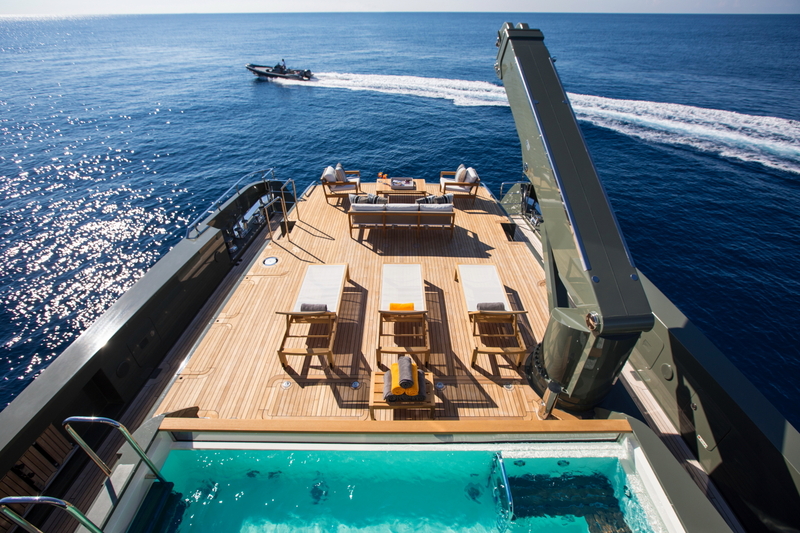 There is also a complete beach club, with bar, sauna and a diver space. 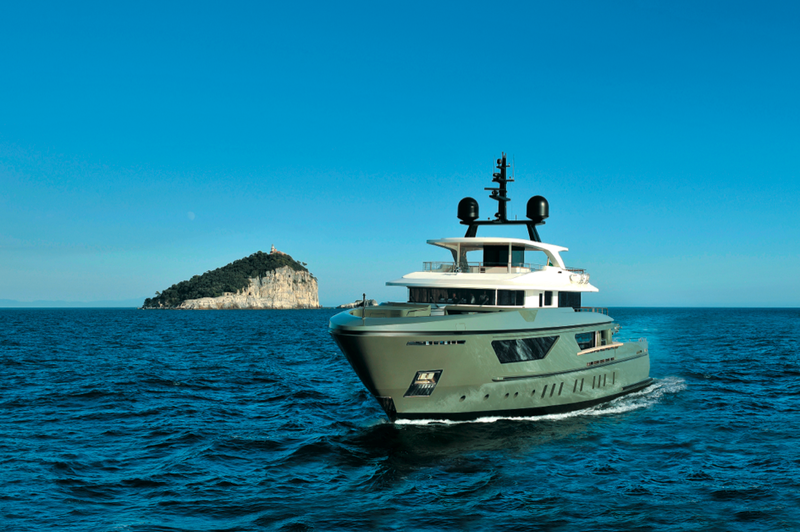 Made of steel and aluminium, the '460Exp-115' yacht MOKA is run by twin Caterpillar C32 Acert diesel engines delivering a top speed of 16 knots. 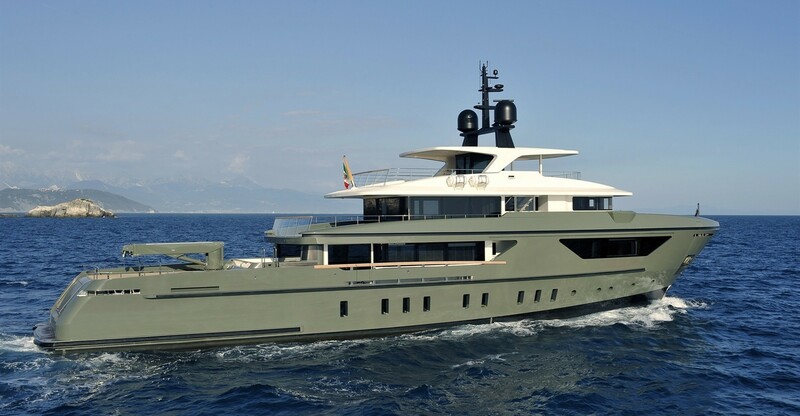 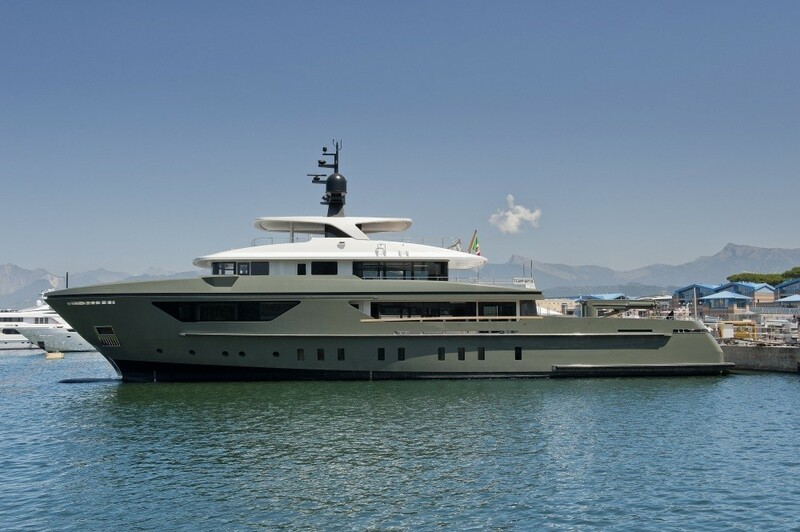 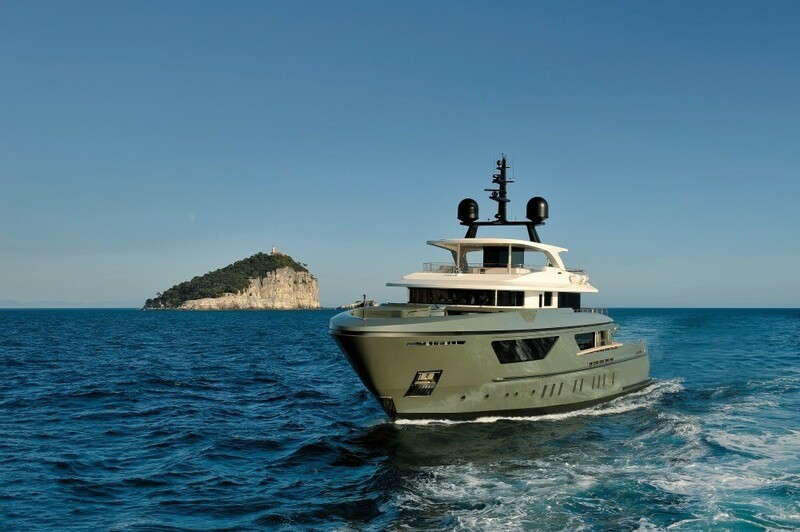 She is classified as “Green Plus” by RINA, which allows her to remain anchored at bay for long periods of time without having to make use of generators, eliminating emissions, vibration and noise. 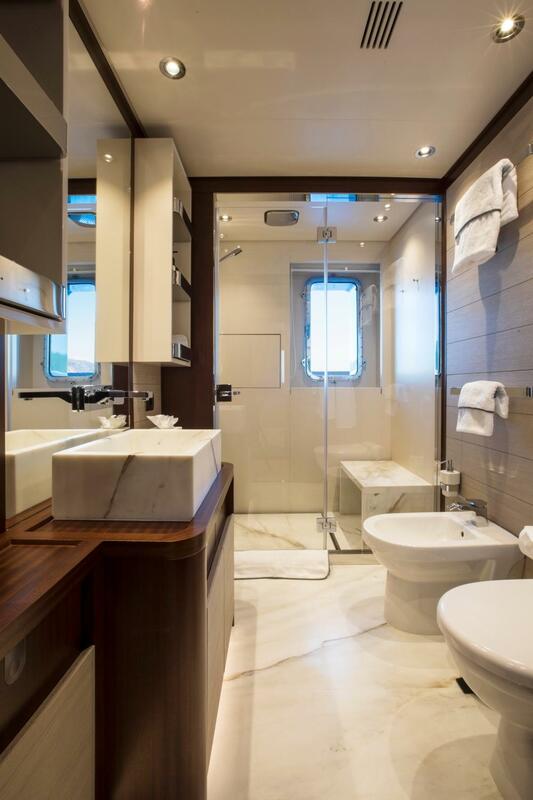 Accommodation aboard the Sanlorenzo '460Exp-115' yacht MOKA is offered in 5 elegant and comfortable cabins, for up to 10 charter guests. 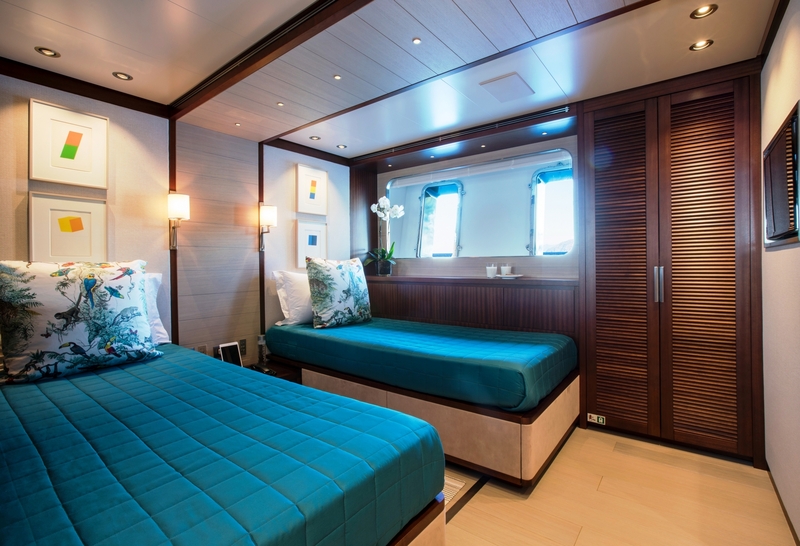 There are also 4 crew cabins for the vessel's friendly and professional crew of 9.